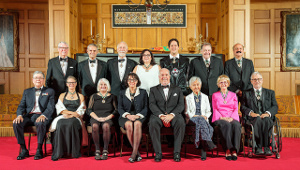 For more than 40 years, Thomas Berger has been one of the pre-eminent legal figures in the history of this province. 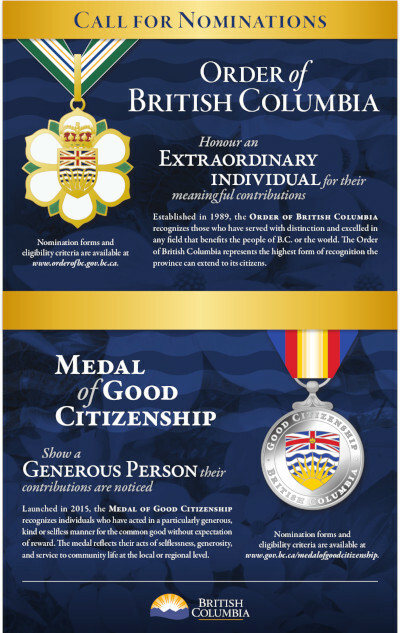 He was counsel for the Nisga’a nation of B.C. in a case in which the Supreme Court recognized the place of aboriginal rights in Canadian law. He was the youngest judge appointed to the Supreme Court in the 20th Century, and served for 12 years. 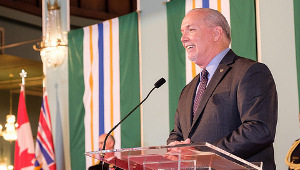 During that time, Mr. Berger headed many inquiries, including the Mackenzie Valley Pipeline Inquiry, to determine the social, environmental and economic impact of the proposed Arctic Gas pipeline to be built from Alaska through the Mackenzie Valley to metropolitan centres in Canada and the U.S. Upon his recommendation, the Government of Canada rejected the proposal and approved an alternate route. Canada also adopted his recommendation to establish a wilderness park in the Northern Yukon to protect one of the last great caribou herds of North America, and to impose a moratorium on major development in the Mackenzie Valley to enable aboriginal land claims to be settled. His commission report, Northern Frontier, Northern Homeland, is the best-selling document ever published by the government. Mr. Berger’s public intervention in 1981 was instrumental in the inclusion of aboriginal rights in the new Canadian Constitution. He wrote Fragile Freedoms, a study of human rights and dissent in Canada, which was published in English and French. After he resigned from the bench in 1983, he led the Alaska Native Review Commission, sponsored by two international organizations of aboriginal peoples. The report was published as Village Journey. For three years, he taught at UBC, then returned to practicing law in Vancouver. In 1991 he wrote A Long and Terrible Shadow, examining European values and native rights in North and South America from 1492-1992, published in English, French, Japanese and Spanish. In 1991 to 1992 he served as vice-chairman of the World Banks’ Sardar Sarovar Inquiry in India. In 2003, he wrote One Man’s Justice, an account of his work as a lawyer. 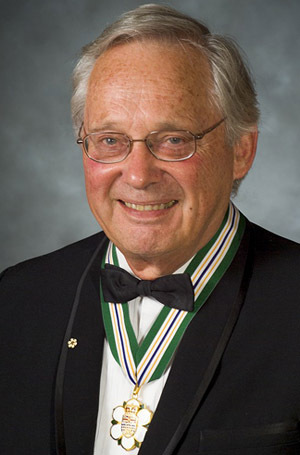 Mr. Berger holds honorary degrees from 13 universities, and received the Order of Canada in 1990. 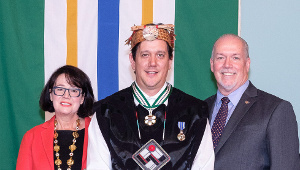 In 1992 he was made a Freeman of the City of Vancouver.